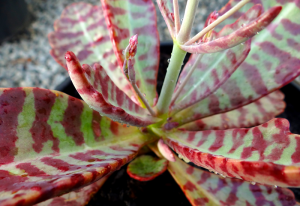 This succulent has been very popular, and it’s easy to see why with those marvelous maroon markings. The sky’s the limit with decorating with Kalanchoe Humilis. It can either look great potted up by itself as a feature on your table or mixed with others to provide amazing leaf colour. Easy to grow in a bright and sunny spot. The flowers are small and lilac in colour and rise 25cm above the plant. Remove spent flower head after flowering. 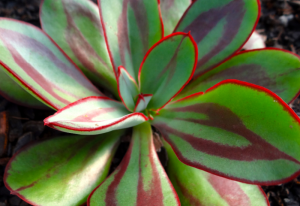 For a splash of colour in your design, Echeveria Painted Lady is a great choice! It’s a shrubby succulent that branches out and ends with open rosettes. Lovely olive-green leaves that are strikingly marked with deep red tiger stripes. It’s happy in a pot or out in the garden, as long as it’s in the sun and the soil is well drained. Oh snap! 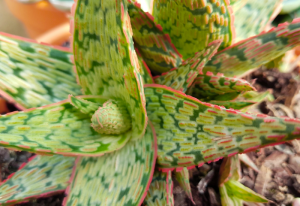 Aloe Gator is a fabulous choice for a medium pot. 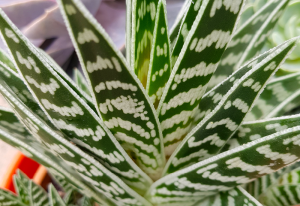 It’s a pretty aloe with white mottled stripes and it is quite the stand out. In spring you’ll enjoy the gorgeous salmon flowers it produces. Aloe Pink Blush would look gorgeous planted in a medium pot. 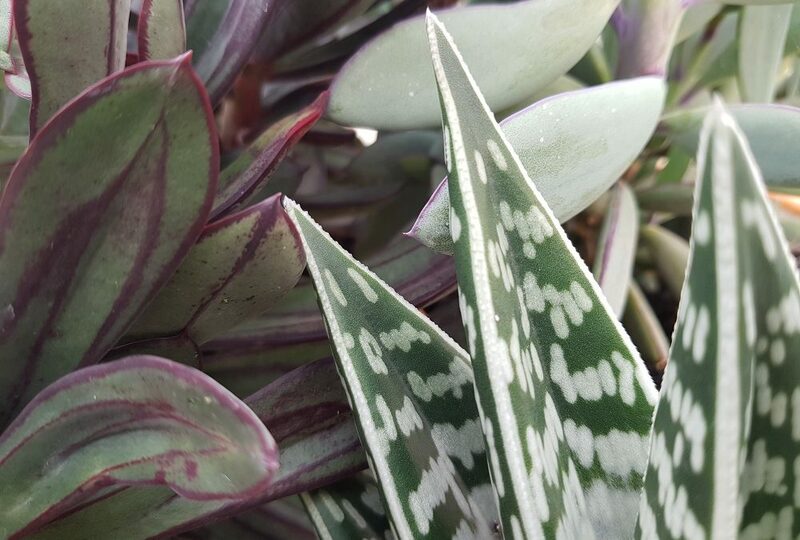 The plant itself is star shaped with a pleasant ripply texture, and it’s leaves feature a mix of green, white and rosy pink stripes. An attractive orange flower will appear during winter to spring. 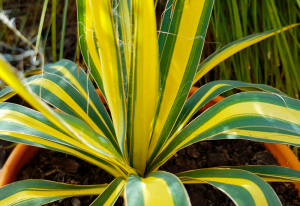 Yucca Bright Edge is fuss free and looks absolutely superb with it’s lemon-striped leaves bursting from the centre of the plant. Pot it up in a large container or place in your garden in front of a dark backdrop. It’s foliage means that it’s a great choice for year round colour, and in summer a large spike of white fragrant flowers will bloom. 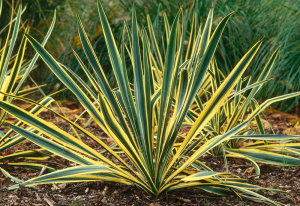 Yucca Golden Sword is easy to grow and will make a dramatic and modern statement in your garden. With striking sword-shaped yellow and green leaves, it’ll really have the wow factor either planted in your garden or grown in a pot. It’s foliage means that it’s a great choice for year round colour, and in spring-summer a large spike of white fragrant flowers will bloom.